After losing their flint, one tribe attempts to barter with Jeff in a rare negotiation. Meanwhile, former MLB player John Rocker’s controversial past threatens his future in the game. After last week's episode, I honestly thought, "This season might be a good way for John Rocker to rehab his image". Then came the dejected, "I lost to a girl" line last night. He actually did seem to be doing his part to keep his promise to Jeremy to try to protect Val, but it looks like she gambled too early with the "Make people believe you have an immunity idol even thought you don't" strategy. I'm not a fan of the one-on-one battle challenge. It seems way too unchecked and violent for this show, and I wish they would find a way to make it appear a bit safer or just stop doing it. Jaclyn is a lucky woman. Val claimed she had two idols which is a terrible move for Val but meant the tribe couldn't split votes between Val & Jaclyn. They had to throw votes on Baylor just in case Val decided to play both idols. She's also lucky that John actually believed there were 3 idols in play in their tribe on day 6. I'm not a fan because Rocker is an admitted steroid user. A "don't go for the face" rule would be nice, too. That challenge was brutal. It seemed like a great opportunity for just about everyone to get hurt. Baylor's mom seemed to give up after she punched her daughter in the face. Oops. I read up on John Rocker after the last episode. I'm not a baseball fan, I'd never heard of him before. The "lost to a girl" comment was lame, and I'm sure the editors are looking for every chance possible to paint him as a villain. It gave me a lovely moment with my kids, explaining why his comment was ridiculous. 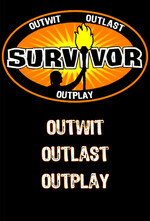 Yes, I let my school age kids watch Survivor. I'm an awful human. My Survivor-hating partner tells me all the time. The preview seems to suggest that he's playing along beautifully and if the other contestants are to be believed it seems like Rocker will be hanging around for a while since he's unlikely to make any friends. Someone for us all to despise, I just hope it doesn't get too stomach churning. They did the same immunity challenge last season - though it was an immunity/reward challenge then. I'm sure the editors are looking for every chance possible to paint him as a villain. Maybe. John Rocker isn't exactly ratings gold either way, but if he had truly reformed then at least you have a new slant to the story. Survivor is a top-rated show and I give them enough credit to assume they aren't drooling over the potential of rehashing a 15-year-old scandal that's been forgotten and outclassed many times over since it occurred. They could cast Paula Deen or Michael Richards or any one of a hundred bigger names who have said worse things more recently. I'm mystified why they cast him. It's the inverse of Sandra Bullock staying away from Celebrity Apprentice when her husband was on. (Trump kept asking, "Why hasn't your wife been on?" Because her manager is competent, that's why.) Survivor is a hit show and John Rocker is a nobody. It seems one-way beneficial. If Probst wanted to spar with a prick pitcher, I'm sure Clemens is available. oh how i wish val had talked to rocker first before coming out with her bold plan. she might not have trusted him, but it would have been better for her to hear him out.